Earlier this year we highlighted some of Google Play's milestones and commitments in supporting the 1M+ developers on the Play Store, as well as those of you working on Android apps and games and looking to launch and grow your business on our platforms. We have been inspired and humbled by the achievements of app and game developers, building experiences that delight and help people everywhere, as some stories highlighted in #IMakeApps. We continue to focus on helping you grow thriving businesses and building tools and resources to help you reach and engage more users in more places, whilst ensuring a safe and secure ecosystem. Looking to 2019, we are excited about all the things to come and seeing more developers adopt new features and update to Android P.
Along with Android P we have continued to help the Android developer ecosystem, launching Android Jetpack, the latest Android Studio, and Kotlin support. Developers are also now able to add rich and dynamic UI templates with Slices in places such as Google Search and Assistant, APIs for new screens support, and much more. Discover the latest from Android 9, API Level 28. Smaller apps have higher conversion rates and our research shows that a large app size is a key driver of uninstalls. 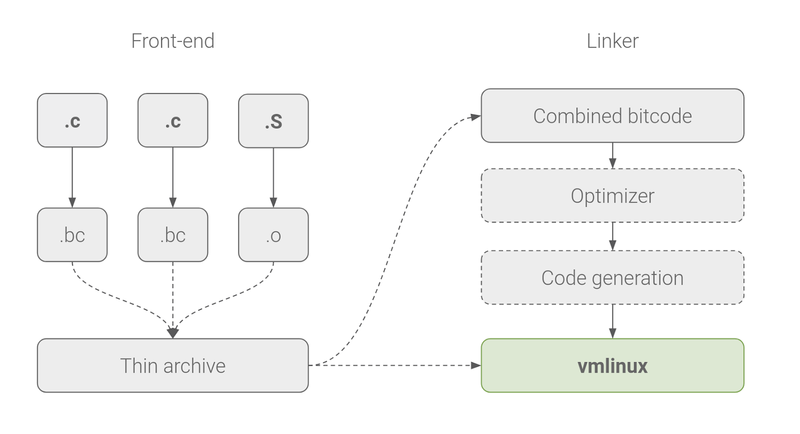 At I/O we launched a new publishing format, the Android App Bundle, helping developers to deliver smaller and more efficient apps with a simplified release process, and with features on demand - saving on average 35% in download size! On devices using Android M and above, app bundles can reduce app size even further, by automatically supporting uncompressed native libraries, thereby eliminating duplication on devices. 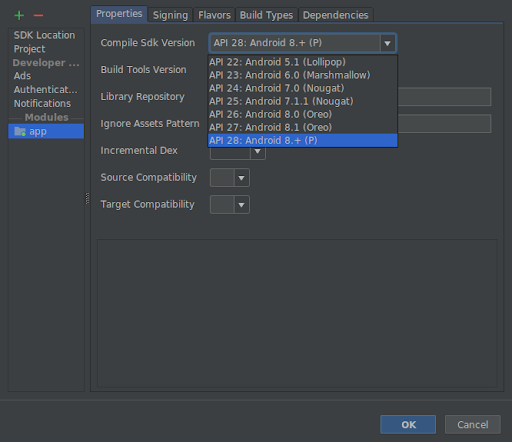 You can build app bundles in the Android Studio 3.2 stable release and in Unity 2018.3 beta, and upload larger bundles with installed APK sizes of up to 500MB without using expansion files, through an early access feature soon to be available to all developers. Discovery of your apps and games is important, so we launched Google Play Instant and increased the size limit to 10MB to enable TRY NOW on the Play Store, and removed the URL requirement for Instant apps. 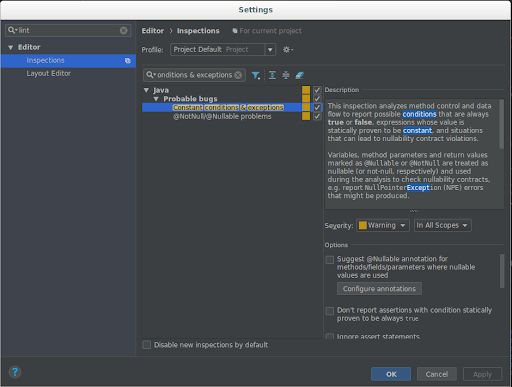 Android Studio 3.3 beta release, lets you publish a single app bundle and classify it or a particular module to be instant enabled (without maintaining separate code). For game developers, Unity introduced the Google Play Instant plug-in and instant app support is built into the new Cocos Creator. Our app pre-registration program, has seen nearly 250 million app pre-registrations, helping drive app downloads through richer discovery. 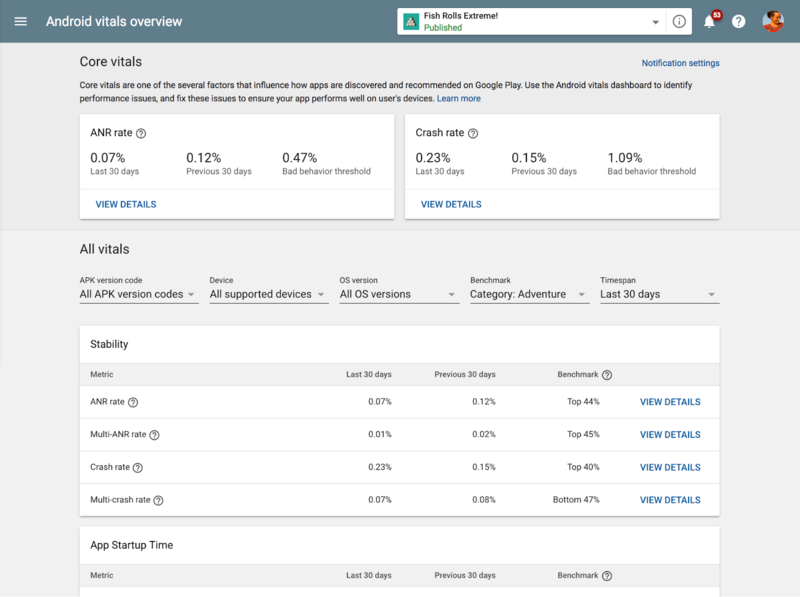 Android vitals are now more actionable, with a dashboard highlighting core vitals, peer benchmarks, start-up time and permission denials vitals, anomaly detection and alerts, and linking pre-launch reports - all so that you can better optimize and prioritize issues for improved quality and performance. There are more opportunities to get feedback and fix issues before launch. 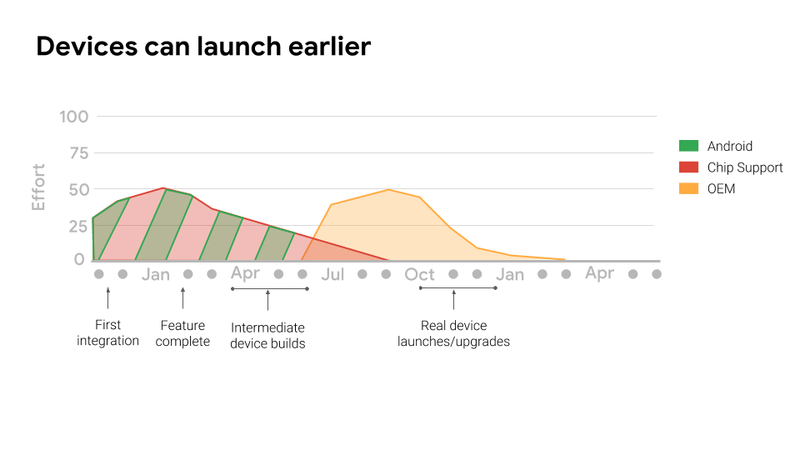 The Google Play Console expanded the functionality of automated device testing with a pre-launch report for games, and the launch of the internal and closed test tracks lets you push your app to up to 100 internal testers, before releasing them to production. Metrics are critical to optimize your business and we've added new customizable tools in the Play Console, with downloadable reports to help you evaluate core metrics. Including cumulative data, 30-day rolling averages, and roll-ups for different time periods to better match the cadence of your business. You can now configure the statistics report to show how your instant apps are performing, analyze different dimensions and identify how many install the final app on their device. The acquisition report shows users discovery journey through to conversion - with average revenue per user and retention benchmarks against similar apps. You can also find the best performing search terms for your store listing with organic breakdown - helping to optimize efforts to grow and retain a valuable audience. Increasingly developers are adopting subscriptions as their core monetization model. The dedicated new subscriptions center means you can easily change subscription prices, offer partial refunds for in-app products and subscriptions, and also make plan changes in Play Billing Library version 1.2. Learn how to keep subscribers engaged; users can pause plans, giving you more control with order management and the cancellation survey. 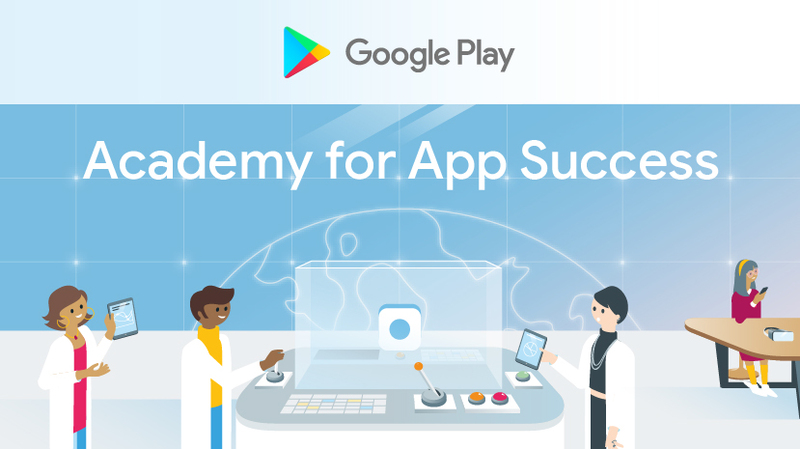 Discover how to use all the new features and best practices on the Academy for App Success, our interactive free e-learning platform, offering bite-sized courses that help you make the most of Play Console and improve your app quality. Make sure you follow @googleplaydev and sign up to our newsletter to stay ahead of all our updates in 2019! We hope these features and tools will enable us to continue a successful partnership with you in the New Year - follow our countdown for a daily highlight. From all of us at Google Play - happy holidays. In Android, we care immensely about providing the best experience to our users and our developers. 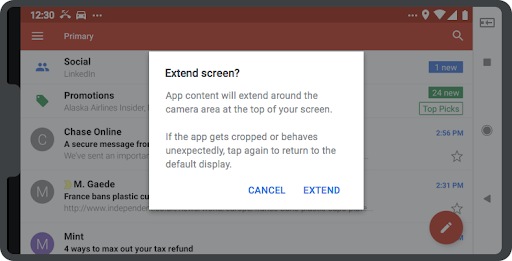 With each OS release, new features enable you to provide amazing experiences for users; however, we noticed that some app developers have been using non-SDK interfaces, which leads to increased crashes for users and emergency rollouts for developers. We want to do better and need your help to ensure that Android is stable with each new OS. 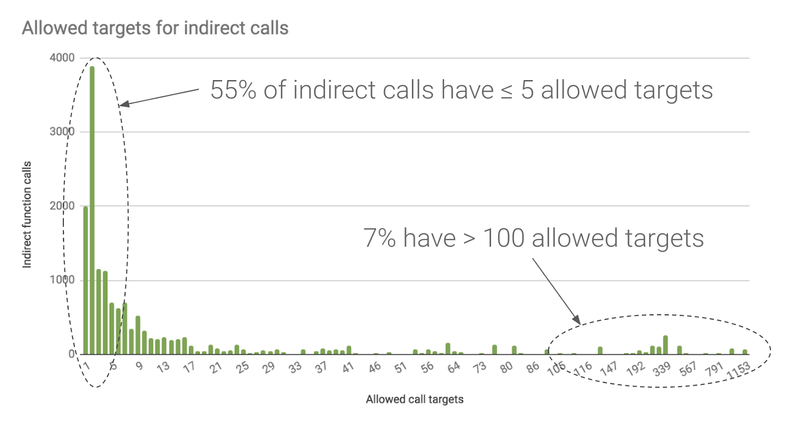 Three months ago, we announced our plans to start restricting the usage of non-SDK interfaces in Android P. We know these restrictions can impact your release workflow, and we want to make sure you have the tools to detect usage of non-SDK interfaces, as well as time in your planning for adjusting to the new policies and for giving us feedback. 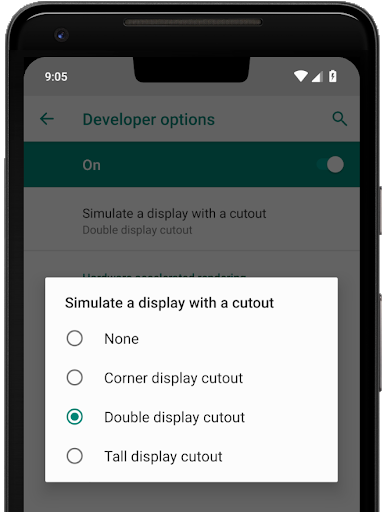 We understand there can be multiple reasons apps want to use non-SDK interfaces, and ensuring your app will continue to work in Android P is important to us. Many of you have explained your use cases through our issue tracker (thank you! ), and for most of these requests, we have lifted the restrictions on specific non-SDK interfaces for Android P by adding them to the greylist. In addition, our team has conducted static analysis on millions of apps and processed thousands of automated reports from internal and external beta testers. Through this analysis, we have identified additional non-SDK interfaces that apps rely on and added them to the greylist. For everything on the greylist, we will be investigating public SDK alternatives for future releases. 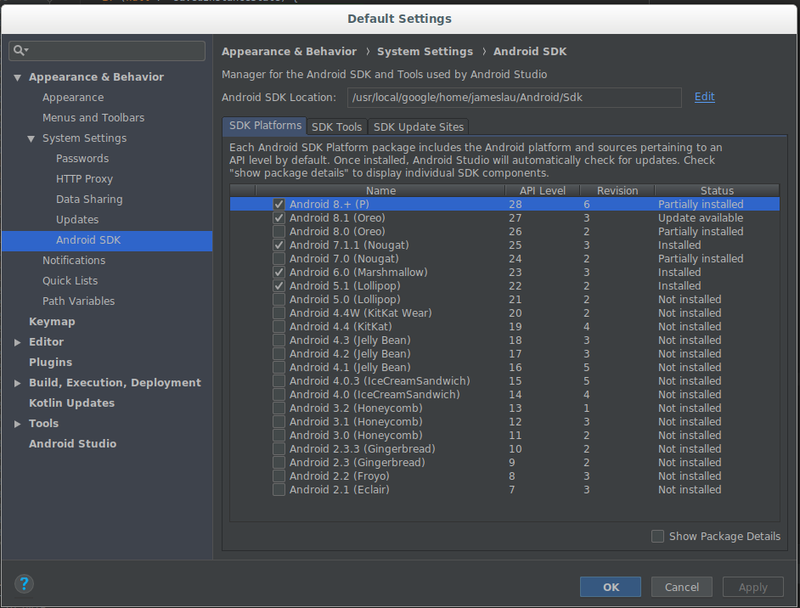 However, it's possible we may have missed some non-SDK interface uses, so we have made the majority of them available for apps whose target SDK is Android Oreo or below. In summary, apps running on Android P will be subject to restricted usage of non-SDK interfaces. 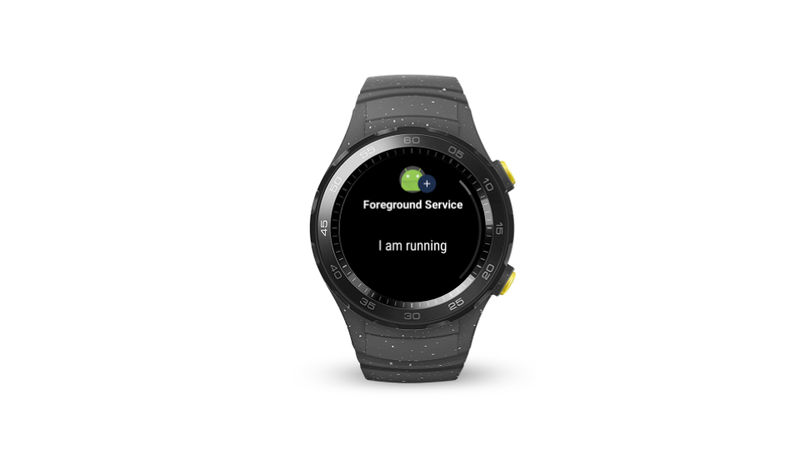 If you are targeting Android P, the greylist shows the non-SDK interfaces that will still be available, while all other non-SDK interfaces will not be accessible. If you are targeting Android Oreo or below, most restrictions will not apply, but you will get logcat warnings if you are accessing non-SDK interfaces that are not in the greylist (note that users don't see such warnings). Try out our new Beta 2 release and use StrictMode to detect your non-SDK interfaces usage. You should expect Beta 2 to closely match what the final release will implement for restricting non-SDK interface usages. Also, please take a look at our new FAQ, which we hope will answer any questions you have around the feature. If not, let us know! As Android continues to evolve, each new release of the OS brings new features, new user experiences, and better security. It is important that these new releases find their way to mobile devices as fast as possible. Yesterday, we announced that the following devices, in addition to Pixel and Pixel 2, now support Android P Beta: Sony Xperia XZ2, Xiaomi Mi Mix 2S, Nokia 7 Plus, Oppo R15 Pro, Vivo X21, OnePlus 6 and Essential PH‑1. Android P Beta provides an opportunity for developers and early adopters around the world to try the latest Android release, test their apps, and provide feedback. In this post, we provide an update to Project Treble and the technology that allowed us to bring Android Beta to more phones this year. 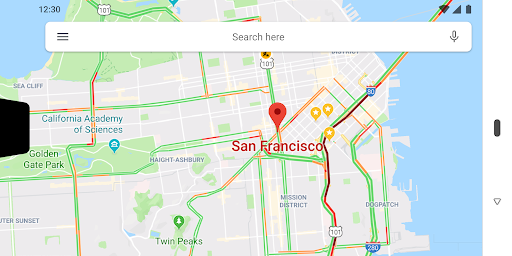 Bringing￼ the new Android release quickly to the hands of users takes a combined effort between Google, silicon manufacturers (SM), device manufacturers (OEMs), and carriers. This process is technically challenging and requires aligning the schedules between our industry partners. To reduce the technical difficulties, we launched Project Treble as part of Android Oreo. Next, to capitalize on the foundation we built, we collaborated closely with the silicon manufacturers, where the journey of making an Android device always begins. Any device with the latest version of Android must be based on an SoC with the proper software support for it. This software, commonly referred to as the Board Support Package (BSP), contains not only the chip-specific vendor implementation, but also all of the Android Open Source Project (AOSP) and pieces of the framework that are missing from AOSP itself (e.g., carrier-specific telephony functionality). These BSPs are the starting point for all device launches. OEMs adapt the vendor implementation to their hardware and add their own custom framework components. While silicon manufacturers always want the latest version of Android in their BSPs, the costs have been prohibitive. By making it possible for newer AOSP frameworks to run on older, already-released vendor implementations, Project Treble dramatically reduces the need for continuous investment in older silicon to support each Android release. Silicon manufacturers have to do all this work just once, rather than every time there is a new release of Android. However, that first time still has to happen. Below is a chart, which illustrates the effort the various actors expend over time as they go through each release. You can think of it as code churn or bug count over time. 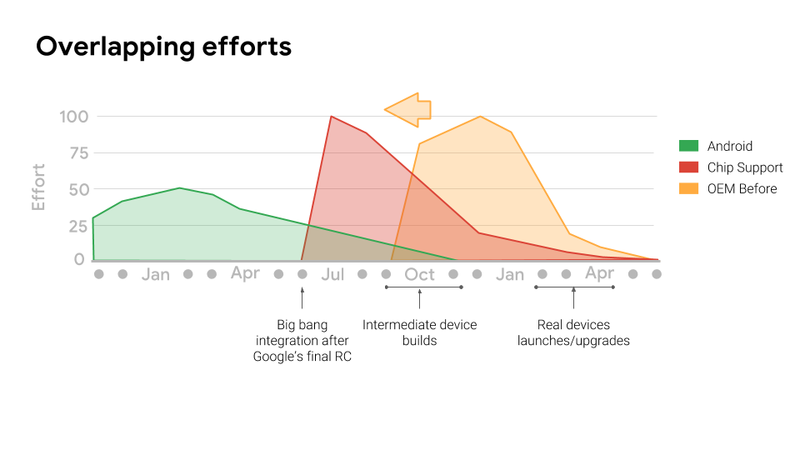 The chart shows how there is very little time in the year for Google, silicon manufacturers, and the OEMs to all this work. Any overlap between phases causes code churn and introduces significant schedule risk. 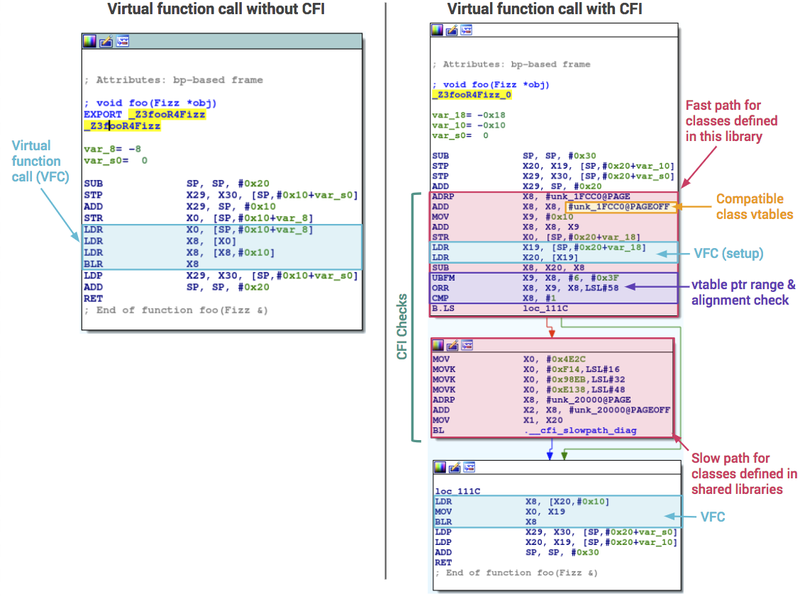 For OEMs who target the holiday season, it is often safer to launch on an older BSP with a year-old or even older Android version. This dynamic has been at the heart of the slow uptake of the latest Android release, even on flagship devices. 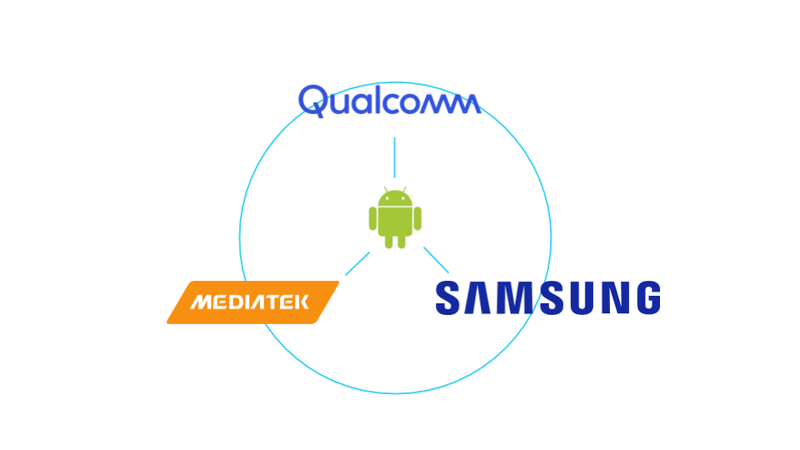 To solve this, we've worked ￼closely with Qualcomm, MediaTek and Samsung Electronics’ System LSI Business to co-develop their BSPs, starting with Android P. Their BSPs are now ready for Android P on a much-accelerated schedule, reducing the overall effort significantly. 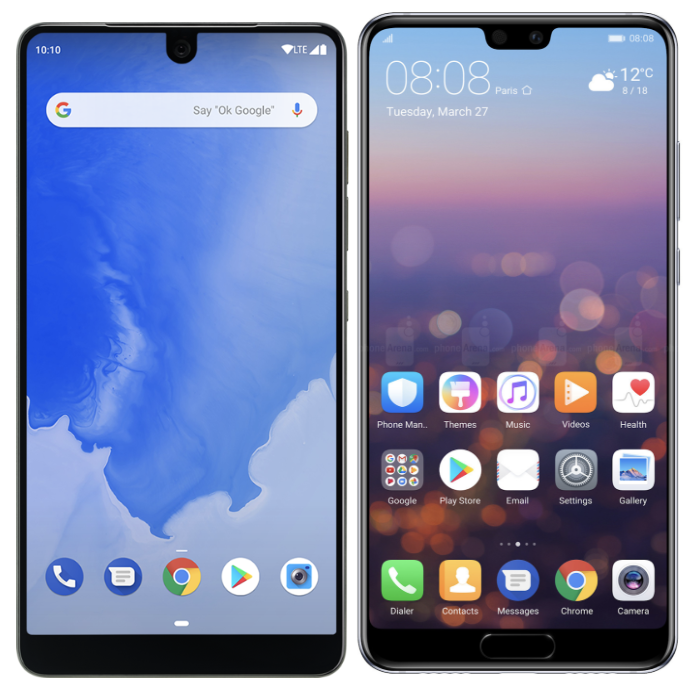 These silicon manufacturers are now able to provide a stable and high-quality release much earlier than before, allowing OEMs to bring the latest innovations of Android to their customers across the globe. 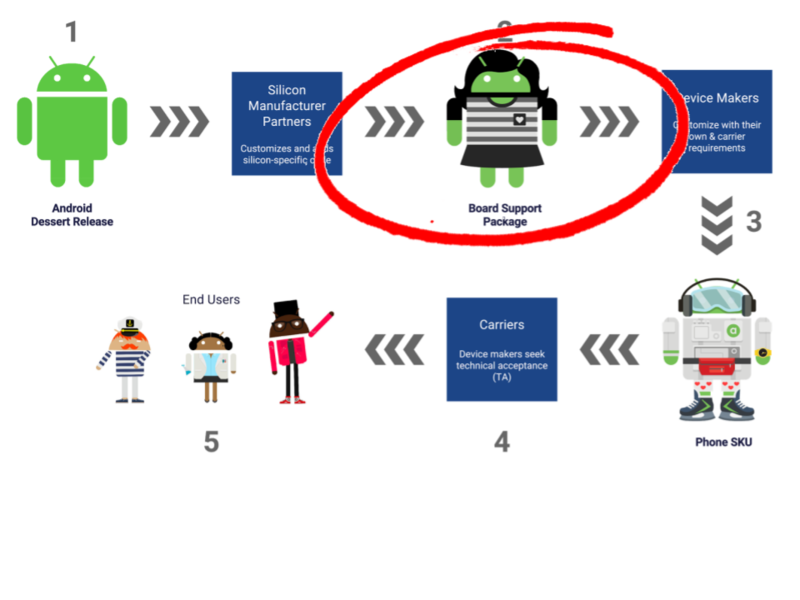 This is an important step in accelerating the adoption of Android releases that bring numerous benefits to our partners, users, and Android developers. 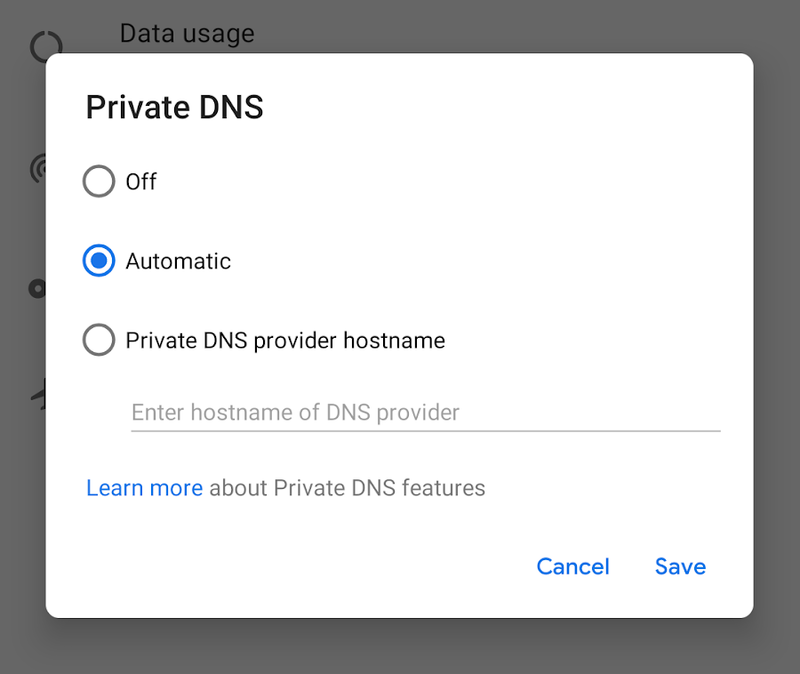 We look forward to seeing many more partners launch or upgrade devices to Android P.
DNS over TLS mode automatically secures the DNS queries from all apps on the system. However, apps that perform their own DNS queries, instead of using the system's APIs, must ensure that they do not send insecure DNS queries when the system has a secure connection. Apps can get this information using a new API: LinkProperties.isPrivateDnsActive(). 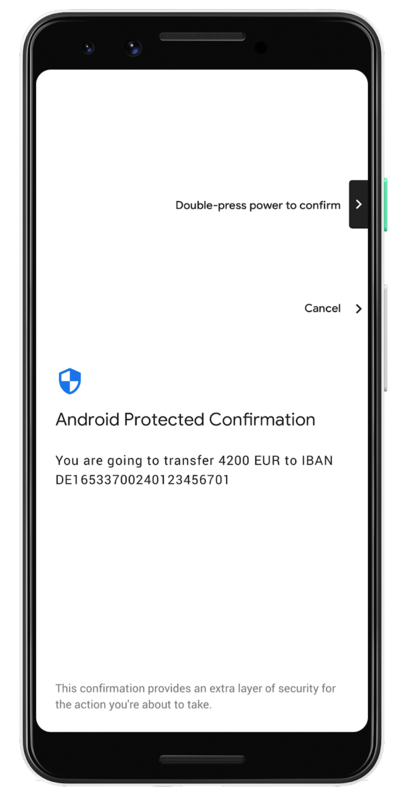 We hope you're enjoying the first developer preview of Android P. We wanted to specifically call out some backward-incompatible changes we plan to make to the cryptographic capabilities in Android P, which you can see in the developer preview. Starting in Android P, we plan to deprecate some functionality from the BC provider that's duplicated by the AndroidOpenSSL (also known as Conscrypt) provider. This will only affect applications that specify the BC provider explicitly when calling getInstance() methods. To be clear, we aren't doing this because we are concerned about the security of the implementations from the BC provider, rather because having duplicated functionality imposes additional costs and risks while not providing much benefit. If you don't specify a provider in your getInstance() calls, no changes are required. 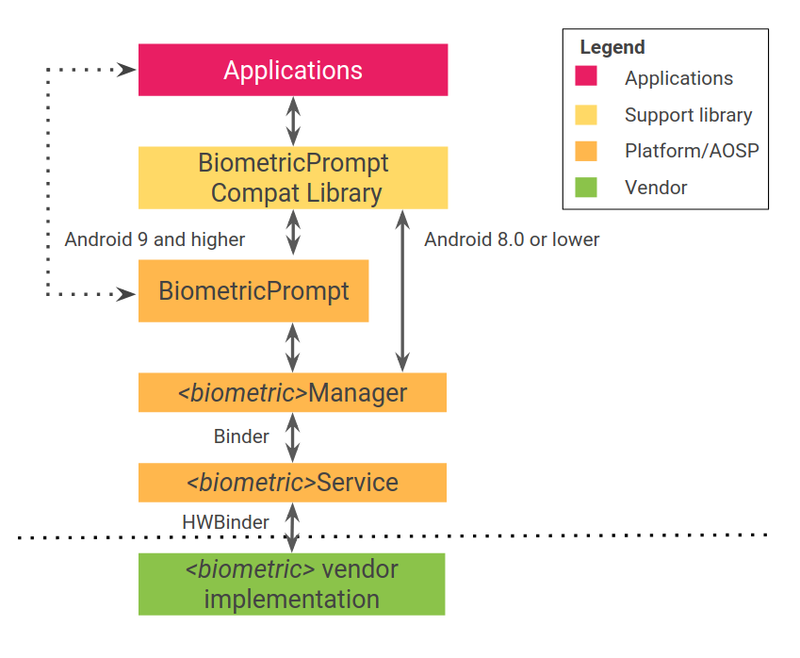 If you specify the provider by name or by instance—for example, Cipher.getInstance("AES/CBC/PKCS7PADDING", "BC") or Cipher.getInstance("AES/CBC/PKCS7PADDING", Security.getProvider("BC"))—the behavior you get in Android P will depend on what API level your application targets. For apps targeting an API level before P, the call will return the BC implementation and log a warning in the application log. For apps targeting Android P or later, the call will throw NoSuchAlgorithmException. To resolve this, you should stop specifying a provider and use the default implementation. In a later Android release, we plan to remove the deprecated functionality from the BC provider entirely. Once removed, any call that requests that functionality from the BC provider (whether by name or instance) will throw NoSuchAlgorithmException. In a previous post, we announced that the Crypto provider was deprecated beginning in Android Nougat. Since then, any request for the Crypto provider by an application targeting API 23 (Marshmallow) or before would succeed, but requests by applications targeting API 24 (Nougat) or later would fail. In Android P, we plan to remove the Crypto provider entirely. Once removed, any call to SecureRandom.getInstance("SHA1PRNG", "Crypto") will throw NoSuchProviderException. Please ensure your apps have been updated.